Hi Friends!!! As promised earlier, we are finally starting our series on Options Strategies. Oh yes we know, many of you do not have the basic knowledge of Options. So do not worry about it. We are here to take care of all your worries. We will start with the basics and then will take up the strategies, one at a time. But you are requested to religiously follow these and we are sure all the followers of this blog will one day become Masters in Options Trading. And if this happens, we will be the happiest people in this world. So let’s start with understanding the meaning of options. Well I will not explain that to you again, as I have already done that here. Please visit this blog we posted earlier. If you have any queries, I will be glad to answer those. Now moving beyond the basic meaning of options, today we will go one step further and understand what all is specified in an Option’s contract. So Let’s take them up one at a time. There are two types of Options. The “Call Option” and the “Put Option”. Call Option: You can call them “Call Option” or simply “Call”. A call gives its holder the right to buy an asset (which can be a stock, currency or index in context to Indian Market) at a certain price within a specific period of time. Calls are similar to having a long position on a stock. Buyers of calls hope that the stock will increase substantially before the option expires. 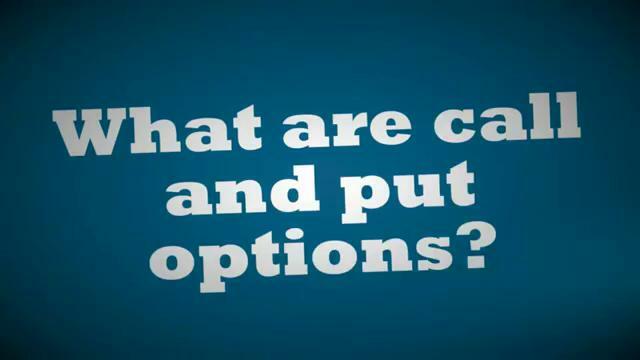 Put Option: You can call them “Put Option” or simply “Put”. A put gives its holder the right to sell an asset (which can be a stock, currency or index in context to Indian Market) at a certain price within a specific period of time. Puts are very similar to having a short position on a stock. Buyers of puts hope that the price of the stock will fall before the option expires. The strike price is the price at which the underlying asset is to be bought or sold when the option is exercised. It’s relation to the market value of the underlying asset affects the moneyness of the option and it contributes mainly in determining the premium of the option. Don’t worry about the term “Moneyness”. We will take it up in our next blog when we discuss the basic terminologies which are used when we trade in Options. Premium is the price paid to buy the option. You may also call it as Option Price. The premium of the option is dependent on market price of the underlying asset, volatility in the underlying and time remaining for the contract to expire. All options contracts come with an expiry date. Once the stock option expires, the right to exercise your option no longer exists and the stock option becomes worthless. The expiration month is specified for each option contract. In Indian context, the options contract expires on the last Thursday of every month for stock and index options. In case of currency options, contracts expire two working days prior to the last business day (i.e. Last trading day at exchange) of the expiry month. The underlying asset is the financial instrument (e.g., stock, currency, index) on which option’s price is based. In the case of stock options, the underlying asset refers to the shares of a specific company. Options are also available for other types of securities such as currencies and indices. We know this is a difficult topic, so we will definitely not rush through it. So we will stop at this point and will start with more terminologies related to options trading in the next blog. If you have any doubts in your mind relating to the current or the previous blog on Options, please do not hesitate to ask. Because if we miss out on the basics, we will not be able to excel in the strategies. This is the most important part of Options trading and needs to be understood in depth before me move further. We will come up with the next blog really soon, so stay tuned to TradeTalk. Happy trading and happy learning friends.